Are you heading to Cancun, Mexico for a vacation soon? 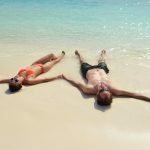 It’s pretty easy to relax on the soft, white sandy beaches soaking up the sun, but did you know that there are so many cultural activities that you can enjoy, too? Are you ready to do something different? If you are, then you should head over to Cancun’s Mayan Village Show that is located at the Playa del Carmen at the Xcaret Eco-park. The Mayan Village Show celebrates the culture and history of their people that lived in the area many, many years ago. Continue to read below if you want to learn more information about Cancun’s Mayan Village as it is the perfect activity for you to experience during your holiday. The Mayan Village Show was developed to deliver authentic recreations of the Mayan people so everyone will experience it as if they stepped back into time. 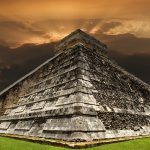 You should bring your entire family out so they can learn about the Mayan culture that is very interesting. You will walk through the exotic jungle at the park, and you will get up close and personal with the flora and fauna as you get back to nature. History buffs will have an amazing experience and the discovery of fire celebration is always enjoyed by everyone both young and old. The Mayan Village Show is ideal for everyone to learn about the Mexican culture amongst Cancun’s natural exotic beauty. It’s been said that if you want to really learn something, you should actually experience first-hand. The Mayan Village Show will allow all visitors to see what it was like for the Mayan people who lived in the area many years ago. Visitors will pass through the lush jungle where they will enter a Mayan village that has been authentically recreated, which occurs at the Xcaret in Playa del Carmen. Visitors will immediately think they have journeyed into the Mayan past. The Mayan village has been amazingly recreated to a tee, and visitors will have an easier time imagining what the pre-Hispanic people’s daily life was really like. Visitors can see how social structures were formed and made, and how the Mayans built their homes and what foods they ate. Visitors can see that traditional Mayan artisans are continuing to practice their heritage crafts even today, and visitors will have the opportunity to purchase one of their beautiful artworks to take home with them. When the dusk begins to arrive and the sun starts to set is when the excitement in the air will grow. Visitors to the Mayan Village will began to smell the scent of copal (Algarroba Family Tropical Tree) fill the air. The leaves and flowers from the Algarroba Tree are used for making cabinets because it is very durable, and the Mayans preferred it. The ancestral drums sounds start to resonate throughout the park as the pre-Hispanic dancing begins. It doesn’t take long for the entire family to be mesmerized and entertained. Cancun’s Mayan Village is the perfect activity to enjoy in Cancun. Instead of a day at the beach with your family, why not take them to Cancun’s Mayan Village where they can learn about the Mayan culture. 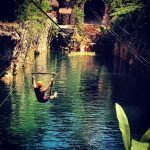 The Xcaret has natural beauty that will bring you and your family back time and time again to enjoy it. 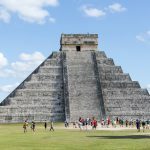 Share the post "Cancun’s Mayan Village"